The rise of Spirit is yet another portent of how the Light is transforming this realm for the better. The moments are upon us for the long prophesied triumph of the Light upon the Earth plane. This heavenly alliance is aided here on Gaia by the forces of our large fleet, which is staffed by a group of Beings dedicated to making it possible to produce a realm that can free surface humanity. This group initially received a great setback when the American cabal struck suddenly in your Gregorian year of 2001. DEW explosions and an all-consuming fire destroyed the twin towers of lower Manhattan. This audacious event temporarily caused a setback for those who were ready to formally declare NESARA. This legislation was to make possible new governance that was to drive the dark from power. Nevertheless, the wars and a dark plot to take over the globe’s monetary system ultimately failed and the Light’s coalition started to come together and arrange a way to terminate the powers so illegally grabbed by the American cabal. We now stand on the verge of the success of a “quiet revolution” that is making possible a long overdue currency readjustment. These new financial systems are to drive out the dark cabal, swiftly bring this globe an end to debt slavery and produce a worldwide prosperity. At present, the world is going through a blessed transformation! Those who have long spread their unique form of darkness are coming to the end of their rope. Long ago, Heaven decreed that this extended night of the Soul was to come to an end as you began to enter the influences of the Gregorian 21st century. At this time, as promised, the forces of Heaven have started strategies, which are very shortly to produce a new world filled with peace and prosperity. We Ascended Masters can now start to see various portents in the sky and water. These sacred signs are pointing the way to this new world. We graciously thank Heaven for deliverance, which is to fully restore to you the relationship given to us by Heaven to watch over and carefully guide your path to full consciousness. Our next series of appointed tasks include giving you a great series of global lessons. These lessons are to be part of what is to make you aware of whom you really are. Dratzo! We come excited about what is happening on your world. Our liaisons report that great progress is being made on setting up a secure and reliable system for the global transfers of your many different types of humanitarian and prosperity funds. These funds are currently concluding what has been a long and circuitous process to ensure their safe delivery to you. This month is beginning to shape up as the time when these funds can be safely given to you. This operation is to ready a number of other groups that are designated to change some governments and declare NESARA to be in effect. 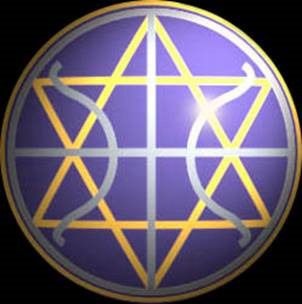 These circumstances are to be the much-needed preliminaries for disclosure and for the Ascended Masters to announce their schedule for a series of very important teachings. These various lessons are to be the foundation for what we intend to tell you. Our team has literally spent years honing the best way to tell you of our existence and what your ascension is to entail. We are as well to begin to explain how our many mentors are to operate among you. It is vital that you have an excellent understanding of how your ascension is to happen and how you are to learn the necessary galactic etiquette. Thus, this coming time is quickly to create a great deal of concept-altering events. It is to seem much like when the American nation was first born in 1781. It is difficult for you in this day and age to envision such a great turn-around. Your former beliefs are mostly to be altered by events that are to appear in an ever-dizzying sequence. We know just how strange this is to appear to you. In a very brief period, you are to be thrown into what can seem like a new world. We ask that you be prepared by assuming in your mind just how odd things are to get. Imagine, government that you have long taken for granted gone in the twinkling of an eye. Imagine, we suddenly change from a seeming apparition to a grand reality. Imagine, the open worldwide appearance of the Ascended Masters! All of this is just the beginning. There is to be proof given of a hollow Earth and you are to see the Agarthans make their public appearances among you. You are suddenly to be thrust from starting to be Planetary Humans to swiftly ascending to Galactic Humanhood! As you can see, your immediate future is to change drastically the reality you now reside in. To us, it is a fact that you are to re-acquaint yourselves with those who regularly come to assist you from Heaven and with us. We are your spiritual and space families. We temporarily lost you when the Atlantean scientists dropped you into limited consciousness. Now, we await your prophesied return to full consciousness. In the interim you have been ruled over by the Anunnaki, and recently only by the dark minions appointed long ago by these same Anunnaki. These dark cabals are reaching the very end of their power over you. When Heaven reconnected with you nearly 13 millennia ago, Heaven selected special Souls to begin to supervise and guide the time and method of your re-connection. At present, these are primarily your many Ascended Masters. These holy ones have graciously assisted us ever since we first came here. You are presently in the final stages before you fully return to us. The beginning of all this is, of course, the spreading of a worldwide prosperity. The present time is thus a series of rapid advances followed by a slight slowdown. This stop and start reality is presently ending. The coming time is to be highlighted by the rise of NESARA and the end of a long era when most governments were run by an oligarchy-dominant environment. This is to be replaced by a reality in which truth and transparency are the rule. In this environment, you are to be able to ensure that government primarily represents you. We are to come and permit you to employ your currently sequestered technologies and those that we intend to provide. Using these, you can cure disease and stabilize your environment. That is, you can rid your water, land and air of all the pollution, which you have plastered her with for the past two millennia. Gaia is to be most pleased with these actions. We ask that you as well take the time to repair all the damage caused by your constant mining, farming and fishing that your global societies did to survive. The new technologies permit you to do so. The remaining structures are to be destroyed by the coming Earth changes! Namaste! We are your Ascended Masters! We come to clarify further what our blessed brothers in space have told you. At present, we are readying the final points of the operation that is to bring you our sacred blessings. Decades ago, we started to recruit those to enlist many of you in a prosperity program. At first this program was muddled in the struggle set up between the Light and the dark on this world. Decade after decade failed to bring a successful resolution to this dilemma. Then in the past few months our associates and our Agarthan friends proposed a possible solution. After much deliberation, a way to deliver was set up and briefly acted upon. This possibility failed to permit a full delivery. More discussions with our many allies have now reached the means to bring you your blessings. Hence, during this month, the Light is prepared to force the dark to allow mass deliveries to occur. We wish to thank our spiritual and space families for their most gracious assistance! When these various deliveries are finally completed, the reality that you live in is to be completely changed. 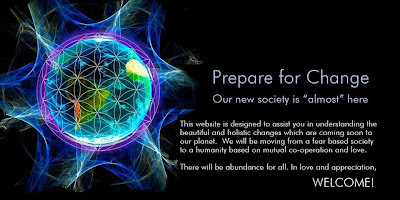 New governance added to a new transparent financial system is to open opportunities for you to restyle your perceptions about how these human societies work. It is our blessed intent to give a series of special lessons on the truths behind the formation of your so-called religious philosophies. Many changes were caused by those who shaped and created what you now deeply believe. To be truly free, you need to open your minds to what actually happened centuries and millennia ago. When we first achieved immortality, we went to a special place to train for our respective missions. Here, we learned what really happened long ago. We now wish to pass on what we jointly learned. These series of truths can help you to prepare for what is to happen shortly. At present, you are moving through times when one health crisis is followed by yet another. All of this is how Heaven is blessedly moving you toward full consciousness. Most of the sacred reasons for this are usually explained to you. You need to have one who you trust to explain this in detail. What first the Atlanteans and then the Anunnaki did was part of a vast conspiracy to leave you in a smoky amnesia about your origins. What is most needed is a detailing of why each part of their complex puzzle was put into place. As we do this, you can unravel how you were deceived and manipulated. Armed with such evidence, you can better absorb what is to happen in the very near future. You are to discover just how broad this deception really was. Therefore, do not judge the future by what you are to know. Use this wisdom to assure a better and brighter time for all!